Tag Archive | "food supply"
Here is how to cash in on multi dimensional natural health. I am always working in some form of gardening or the other. 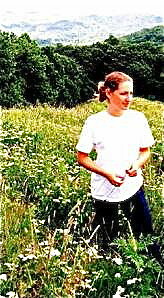 I grow flowers because Merri and I love them and grow some of the food we eat, but I also do serious gardening, the one that generates extra income. 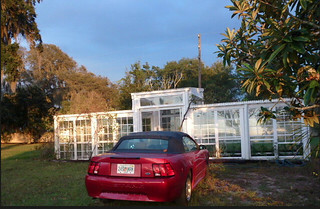 I grow my eating vegetables in Florida in this greenhouse. My serious micro agri activity in Florida is in our orange grove. In North Carolina I grow our eating food in the garden. Beyond the garden is my serious micro agri activity in wild American ginseng. 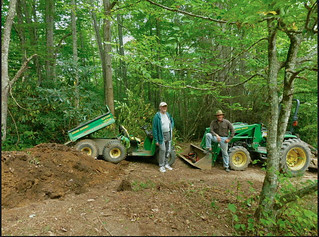 Here I am with our friend, Frank Walters, expanding our ginseng field. Micro agri businesses can generate extra income or reduce food costs and be fulfilling. This type of business can also be good for your health. A recent message Multi Dimensional Deals looked at economic benefits of having a multi dimensional business. Here’s why a micro agri business is good for your health. Many readers cannot abide exercise for the sake of exercise itself. This becomes really boring to them. They have to find ways to exercise that have a context beyond reinforcing limberness, stamina and good health. They need a motivation and a reason to perform the exercise. I fall into this category and this is one reason I love gardening and our micro agri businesses. Working in the garden provides fresh food as it eases stress, keeps a person limber, as the process refreshes the mind. A Dutch study shows that gardening is one of the best ways to fight stress. Two groups of people were instructed to either read indoors or garden for 30 minutes. Afterward, the group that gardened reported being in a better mood than the reading group. The gardeners also had lower levels of the stress hormone cortisol. The human mind has a boundary called limited channel capacity. The brain can only take in limited amounts of information at a time. Passing the limits creates irritability, increased errors, distractions, stress, decreased efficiency and less productivity. University of Michigan researchers found that the capacity can be renewed by engaging in “involuntary attention,” an effortless form of attention such as planting, pruning, mowing, digging and other forms of gardening. 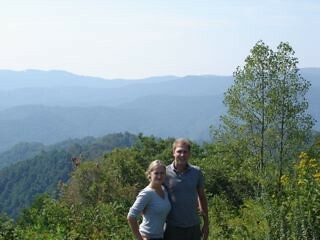 The senses become balanced when we are in a natural environment. Easy, repetitive, action are sources of effortless attention. A Norwegian study found that over half the people studied with depression and other emotional and mental disorders experienced a measurable improvement in their symptoms after spending six hours a week growing flowers and vegetables for three months. 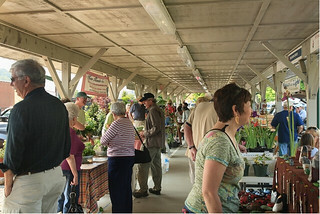 The benefits continued three months after the gardening program ended. Part of the benefits may be based on the chemistry of gardening. Mice injected with Mycobacterium vaccae, a harmless bacteria commonly found in soil, had an increases in the release and metabolism of serotonin in parts of the brain that control cognitive function and mood — much like serotonin-boosting antidepressant drugs do. The theory is that modern living reduces the amount of friendly bacteria in the system and this reduces the effectiveness of the immune system. Gardening helps put the bacteria back. Gardening introduces fresh air, sunshine and requires many different movements that provide flexibility and stamina as excellent forms of low-impact exercise. Plus food from the garden is the freshest of all! There are economic benefits as well. Agriculture is one of the most important sectors of the global economy. This is sector is controlled by huge agri businesses. This may change as climate change creates disruption in the food supply. Adaptation to climate changes can create two types of opportunity that can help us have better lives. One opportunity is in creating high tech food. An article in the May 12, 2014 New Yorker entitled THE END OF FOOD” by Lizzie Widdicombe tells about Soylent, a synthetic food product, made from raw chemical components that account for all the major food groups. The company that makes this formula claims to have a more efficient way to provide nutrition. They offer a week’s supply of this product for $65. The article says: “The main way that most people will experience climate change is through the food they eat, the price they pay for it and the availability and the choice they have”. The company has barely started and is already receiving $10,000 of new orders every day. There are other companies like “Beyond Meat” that are specializing in the process of delivering protein in a more efficient way that giant agricultural businesses do. This new innovation in the economy offers investing opportunity. A second opportunity is in micro agriculture, where you grow your own food and grow some to spare and sell. Big agri businesses use chemicals and machinery to replace labor. Micro agri businesses use personal labor for health and profit. The trick is to turn serious gardening into a micro agri business. Do enough that you can provide the labor without stress so you gain income potential and the health benefits. We have made each of our homes multi dimensional… a home AND a source of food and hopefully a little profit as well. This is important because multi dimensional micro agri businesses can provide income, recreation and exercise that make our lives better. I do not expect to make any fortunes with my gardening. 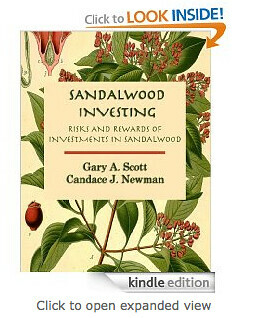 I’ll let investments in agriculture such as in Sandalwood plantations do that. Yet having some profit potential in a micro agri business stitches well into my entrepreneurial fabric. The real benefit is that the micro agri business helps me invest and live better because my mind is clearer and less stressed due to the physical activity. This makes the micro in an agri business much larger than it may seem! Posted on 21 December 2009. Tags: Air New Zealand, Air New Zealand Limited, Andes, biofuels, Cotacachi, Ecuador, Ecuador Export Tour, energy, example oil, food crops, food supply, Fort Myers Florida, high energy content, Honeywell International Inc., Koninklijke Luchtvaart Maatschappij NV, Mark Dalton, My Dream Fuel, Paul Dalton, Quito, Quito-Mindo Real Estate Tour, The Daltons, UOP, UOP LLC. Learn about Ecuador Imports and much… much more. Many of our readers are looking for Ecuador export information. Anyone planning to visit Ecuador to find exports gain extra potential if they take Ecuador import ideas down when they go. new Ecuador import opportunities… plus more. 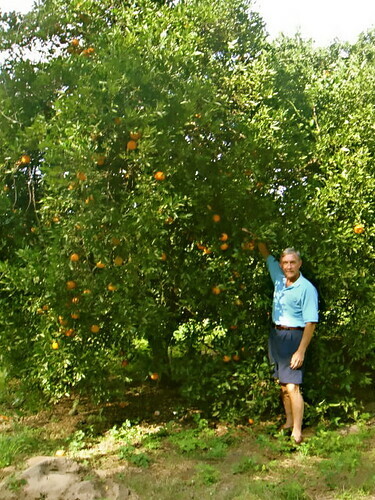 Here are tangelos at our orange grove in Smalltown USA. In a moment I’ll share three new ideas about Ecuador import potential plus opportunity in Smalltown USA and why investments in agriculture look even better to me now as a hedge against inflation. First, as we approach Christmas and the New Year let me say that these are really exciting times… so much change… so much opportunity. Without this change… those who have little would not be able to find ways to create a lot! Change gives the little guy a chance to break barriers because the big guys are never flexible and innovative enough. The big guys want to hold onto the old ways. The little guys secret weapon? New ideas… new solutions to new problems. This message is about taking advantage of change and new ideas at an early stage. Technology creates new problems for mankind as it brings humanity wonderful things… but also offers new solutions to the new problems as well. 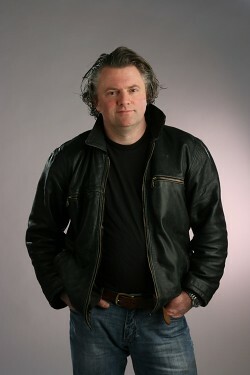 For example oil, electricity and the automobile have provided quite the new opportunities over the last eighty years. These innovations made the Fords, Firestones, Edisons and so many others rich. The new problems? Pollution in many ways. A new solution? Renewable biofuels that do not eat up the food supply. 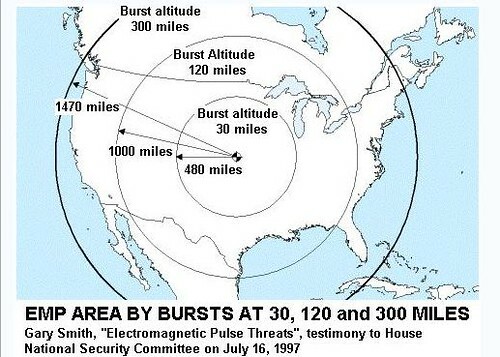 This is why I found the Time magazine article “Biofuel Test Flight: – 30 December” so exciting. Here is an excerpt: The world’s first commercial aviation test flight powered by the sustainable second-generation biofuel jatropha has been successfully completed in Auckland. More than a dozen key performance tests were undertaken in the two hour test flight which took-off at 11:30am (NZ time) on Tuesday 30 December from Auckland International Airport. A biofuel blend of 50:50 jatropha and Jet A1 fuel was used to power one of the Air New Zealand Boeing 747-400’s Rolls-Royce RB211 engines. At 1.30pm, Pilot in Command Captain Keith Pattie and Air New Zealand Chief Pilot Captain David Morgan stepped off the aircraft back at Auckland International Airport and informed invited guests about the outcomes of the flight. “We undertook a range of tests on the ground and in-flight with the jatropha biofuel performing well through both the fuel system and engine, just as laboratory tests indicated it would,” said Mr Morgan. My enthusiasm grew further when I discovered that Jatropha grows exceptionally well in Smalltown USA Florida… very near where I have started buying agricultural land. A Boeing 747 was recently test-flown using a 50-50 blend of jatropha and jet fuel. Renewable energy, it turns out, does grow on trees. The fruit pods plucked from jatropha trees have seeds that produce clean-burning diesel fuel. But unlike corn and other biofuel sources, the Jatropha doesn’t have to compete with food crops for arable land. Even in the worst of soils, it grows like weeds. Sound too good to be true? 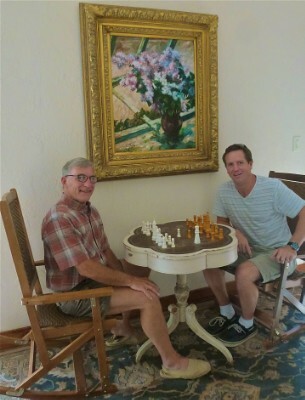 That’s why brothers Paul and Mark Dalton chose to name their Florida jatropha company My Dream Fuel. The article points out that jatropha, like algae, does not divert food from hungry mouths. It says that India has set aside 100 million acres for Jatropha and expects the oil to account for 20% of its diesel consumption by 2011. 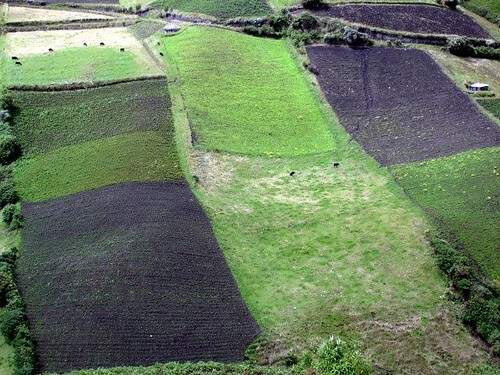 This is Ecuador agricultural land in the Andes near Cotacachi. 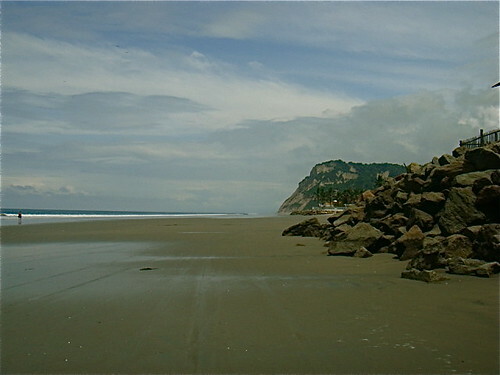 Ecuador has rich soil and sun 365 days a year. 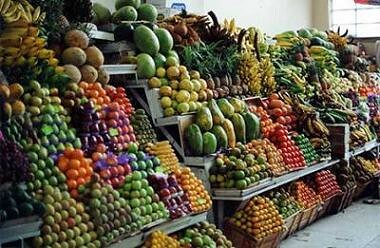 See how this creates an Ecuador import agricultural idea below. 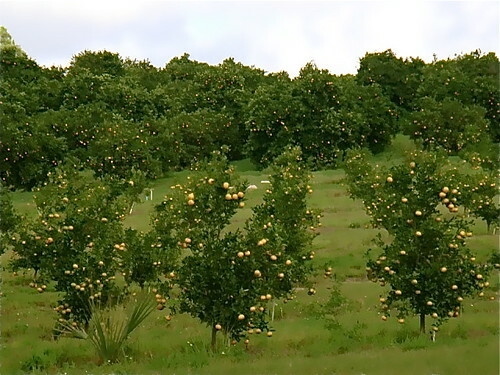 The Daltons have planted nearly a million Jatropha tress near Fort Myers, Florida and they thrive so well it is believed they may yield up to eight times as much oil as they do in places like India and Africa. That translates into as much as 1,600 gal. of diesel fuel per acre per year, vs. 200 gal. for stocks that grow in the wild. Fuel from Jatropha emits negligible greenhouse gases, and the trees can capture four tons of carbon dioxide per acre (which might make growers eligible for carbon credits on the global market). Jatropha isn’t the only new bio fuel idea. A November 2009 Greenwire article “KLM Carries Passengers in Biofuel Test Flight” by Katie Howell says: KLM Royal Dutch Airlines today successfully demonstrated the use of renewable jet fuel on the first test flight to carry passengers. The KLM demonstration is the fifth biofuel-blend test flight in the past two years. Like previous flights by Continental Airlines, Air New Zealand and Japan Airlines, the KLM test used renewable jet fuel developed by UOP, a subsidiary of Honeywell International Inc. The flight was powered by a blend of 50 percent traditional kerosene and 50 percent biofuel derived from camelina running in one engine of a Boeing 747. The aviation industry has rallied behind development of drop-in replacement jet fuel derived from plants that provide high energy content, are not eaten as food and do not displace food crops. A report released this summer detailing results of the Continental, Air New Zealand and Japan Airlines tests said the biofuel blends were more efficient than typical jet fuels (E&ENews PM, June 17). Here are three ideas that may offer enormous profit in years ahead. New Profit Idea #1: Check out shares in Honeywell International Inc. and UOP. New Profit Idea #2: Check out buying low cost agricultural land in Ecuador or Smalltown USA where you can grow biofuel plants like Jatropha or Camelina. New Profit Idea #3: This is an Ecuador import idea. Import the idea of Jatropha or Camelina to Ecuador. 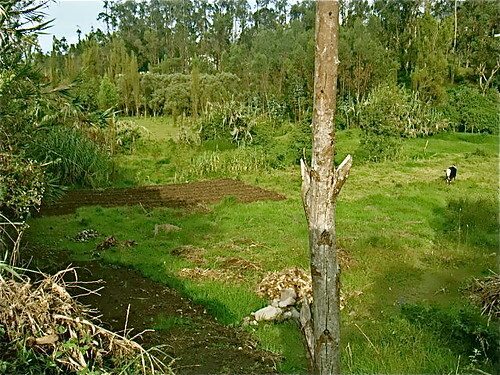 Buy low cost agricultural land there and export the product from Ecuador. 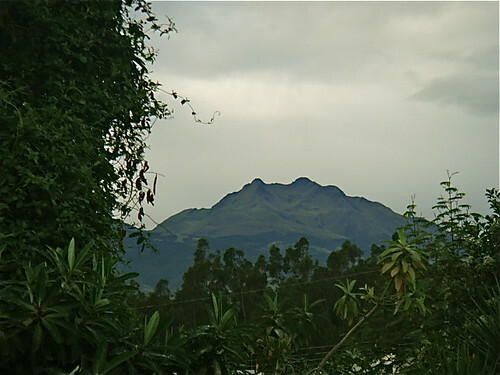 Ecuador has the same bio diversity as land from the equator to the arctic circle… so anything gos and grows! 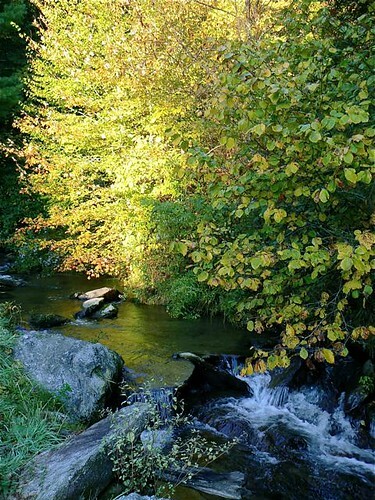 Until then, Merri and I send our best wishes to you for happy… peaceful…. low stress holidays. We’ll be here at this site sharing ideas with you every day including Christmas and New Year’s Day. 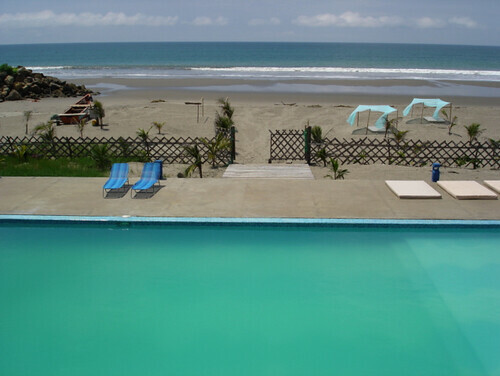 Join us on Ecuador’s coast this winter. Attend our seminars and tours in Florida and Ecuador. 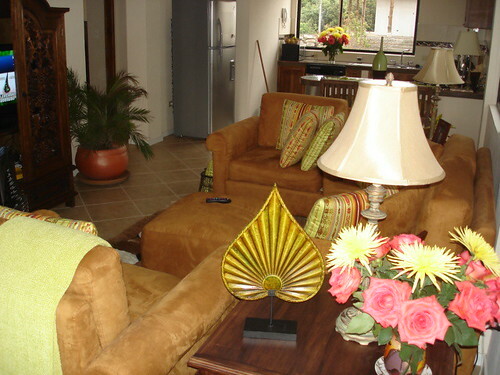 See the best Ecuador property for you. 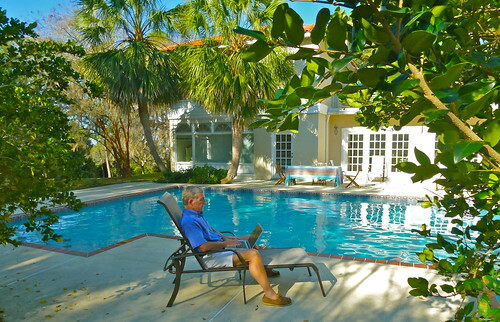 Find the best real estate offers. Know more of Ecuador. To help you experience a bigger adventure in this wonderful nation, to broaden your horizons, to expand your awareness of all Ecuador offers, we are providing deep discounts in 2010 for those who sign up for multiple tours. 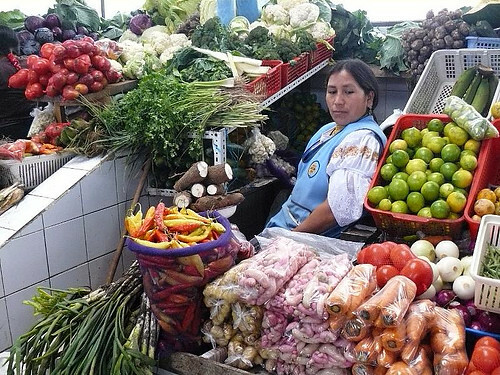 Shots like this of an Ecuador food market and multi currency investments grow in importance…beause the world’s cupboards are getting bare! Multi currency investments help investors adapt to change. Multi currency investments are especially valuable now because change is here…big time. Change brings distortions. Distortions create problems and problems create opportunity. Messages about multi currency investments over the last two days have looked at a problem that had been forgotten for many years…having enough food. US debt creates a falling US dollar. This is why multi currency investments are important. A falling dollar creates inflation. Yesterday’s message showed us how soon twenty dollar bill will not be enough to buy a gallon of milk, a dozen eggs and a small loaf of bread. This is the tip of the iceberg. Beyond the greenback’s demise there is a more serious underlying supply and demand fundamental…there simply is not enough food right now. Investors need more than just multi currency investments. This was not the global position in past decades. In the 1980s, the U.S. Department of Agriculture was saddled with mountains of surplus cheese, corn and other foods that it socked away in warehouses and even caves. As recently as 2003, the USDA had to buy so much powdered milk to support dairy prices that beleaguered officials shipped some to U.S. ranchers for cattle feed. The European Union farm program had lakes of excess wine and mountains of cheese and butter stored. Yet a recent USA Today article says: “While the previous surpluses were costly and sharply criticized, much of the food found its way to the poor, here and abroad. Today, says USDA Undersecretary Mark Keenum, “Our cupboard is bare. “U.S. 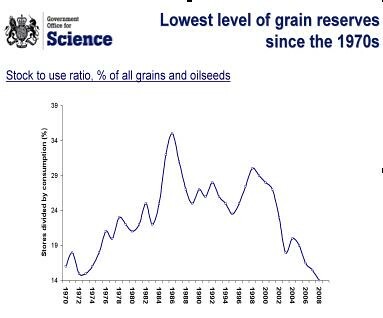 government food surpluses have evaporated because, with record high prices, farmers are selling their crops on the open market, not handing them over to the government through traditional price-support programs that make up for deficiencies in market price. “Worldwide, food prices have risen 45% in the past nine months, posing a crisis for millions, says the United Nations’ Food and Agriculture Organization. “Because of the current economics of food, and changes in federal farm subsidy programs designed to make farmers rely more on the markets, large U.S. reserves may be gone for a long time. This is a huge problem and hence grand opportunity. The solution is not simply making more money with multi currency investments…to buy enough food either. You cannot be rich, happy, successful and full when those around you are hungry. Not only is this inhumane…hunger and thirst are motivations that will destroy law and order faster than any other! Investors have to put their multi currency investments in businesses that will bring fundamental changes in the way the world produces food. There is an opportunity somewhere here. I haven’t figured out what it is, but know it is there. Take, as another example, shares of Vestas Wind Systems. We follow these shares in our multi currency course and they have been a huge winner. 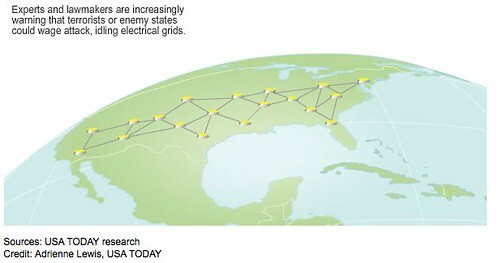 One reason behind the food shortage is that many governments incorrectly promoted food (such as corn) as a source of alternate energy. 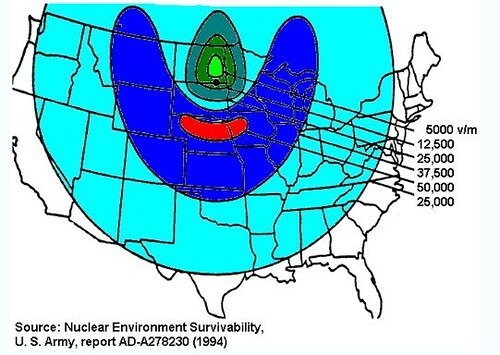 This helped skew the food supply down faster than demographics would have done. Those who change, adapt and invest in solutions to problems are those who will profit. This is why we are examining seven multi currency shares including Vestas in our multi currency course. Until next message, may food always be abundant for you. Learn more about multi currency investing at our multi currency portfolio course. This is also why we are adding sessions on nutrition at our upcoming intuition course. 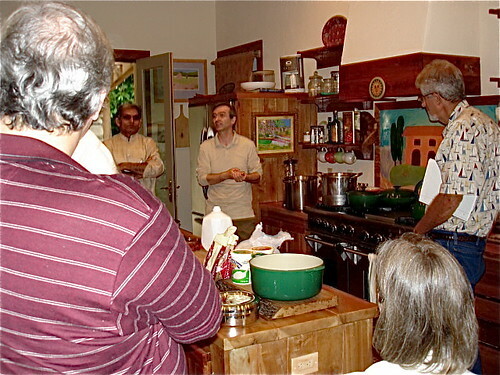 Here are delegates at a previous course enjoying a nutrition lesson in our teaching kitchen at the farm. I love gardening. This may become a hobby that goes beyond handy. Folks round here still know how to feed themselves without the big city. So do Merri and me! 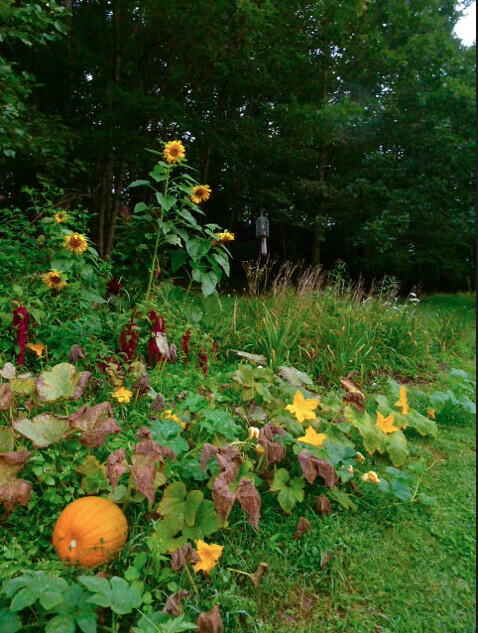 Here is a previous year’s sunflower crop. This was always for the beauty of the flowers. Now I am thinking about nutritional value instead. 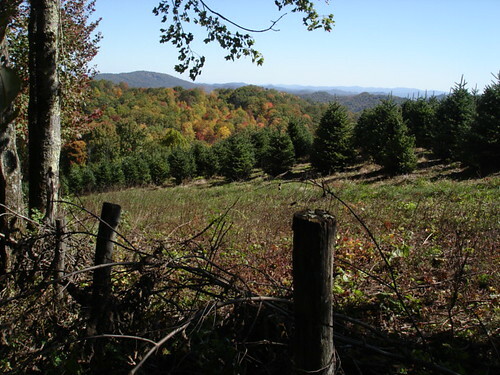 This course will be conducted here in Ashe county where we live on a farm in part to be sure we have enough food by growing our own. Hopefully part of our squash crop will be ready to serve. 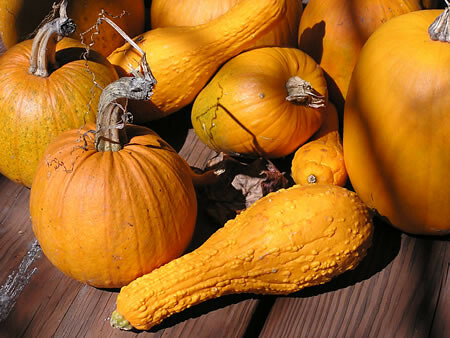 We aways have great pumpkins and squash. Here is a previous crop. Learn more about the food benefits of Ecuador travel and living. 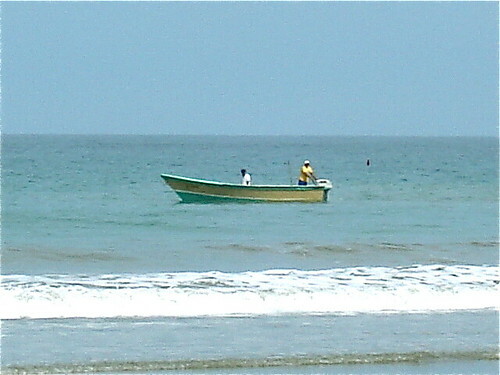 Ecuador’s fishing fleet make eating fresh seafood easy, inexpensive and good! We bring fresh seafood to our hotel as well. 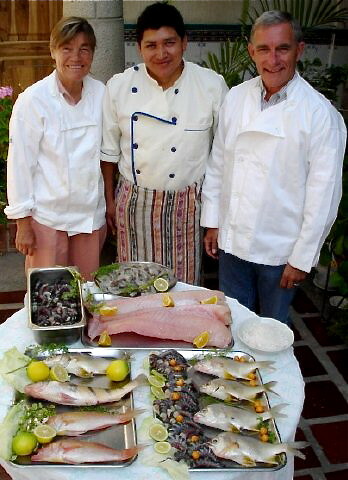 Here I am with Merri and our chef Santiago at El Meson de las Flores after visiting Ibarra seafood market.